With the announcement that Keller Williams Realty has become the largest real estate franchise in the world for agent count, you would think that was the best news coming for a while. Well, KW just hit another goal. 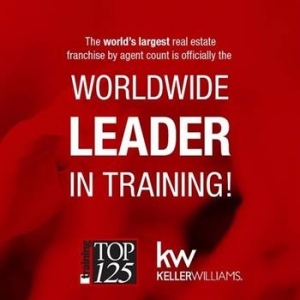 Training Magazine has named Keller Williams Realty the #1 training company in the world, beating out the most successful learning and development programs in the world! Keep this in mind, this isn’t just for the real estate industry, but all industries around the globe! When real estate companies say they have the best training, take that with a grain of salt. Only Keller Williams can officially say they have the best training in the real estate industry. With programs that focus on getting agents into production as quickly as possible like Ignite or intense lead generating programs like BOLD, Keller Williams pulls no punches when it comes to helping associates reach their goals. When new agents or seasoned associates that need a refresher first start at KW, they begin Ignite. In this training course, agents learn the fundamentals and habits of a successful real estate agent. From scripts and dialogues for handling buyer and seller objections, lead generation techniques to find clients that want to buy/sell now, to learning how to manage your time, money and business, Ignite real estate training is the best in the industry to get you producing as quickly as possible. BOLD real estate training is an intense seven week course that conditions agents with powerful mindset techniques, business building strategies, language techniques and live lead generation activities. As a part of the MAPS (Mega Achievement Productivity Systems), know that you are getting the best in the business when it comes to teaching how to master the market of the moment. These programs are just the tip of the iceberg when it comes to training at Keller Williams. Additionally, Keller Williams University and KW Connect offer online educational opportunities for associates, teaching everything from lead generation strategies to interviews with top agents around the world who share their secrets to success. One way to describe KW is not as a real estate company, but a teaching, training and consulting firm that just happens to be in the real estate business. If you’re looking to get the best training in the real estate industry, you have to join Keller Williams Realty. Contact us today to get started!